Use the Brentwood TS-118BK Electric Moka Pot Espresso Machine to make classic Italian espresso coffee. Brew 3 to 6 cups of delicious espresso coffee in just minutes thanks to the powerful 550 watt power base. Power base is also detachable and features 360 degree swivel technology so you can place the pot in any direction. The large, ergonomic handle and convenient spout make serving easy. 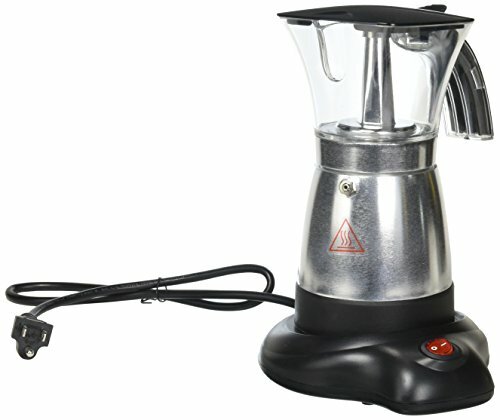 Enjoy one hand operation with conveniently placed power switch with power on light indicator. All contact parts are BPA Free.